If any of this sounds cool, pick up your copy of HONOR AMONG ORCS today! *and because it has been a looong month and I don't have a compelling blog topic. sorry! 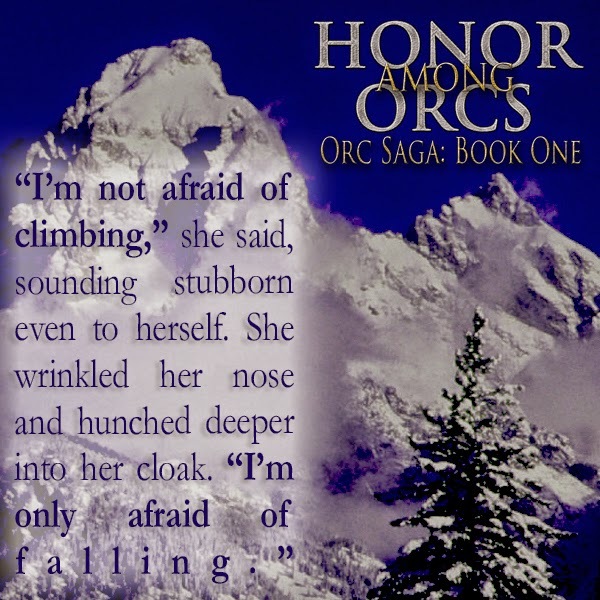 In honor of the release of Honor Among Orcs, I'm reposting some of my "Orc Romance: In Progress" posts from those days in 2012 when I first began writing it -- with my early thoughts on what makes an orc, and those creatures which seem to have influenced our ideas of them. Here's the first! 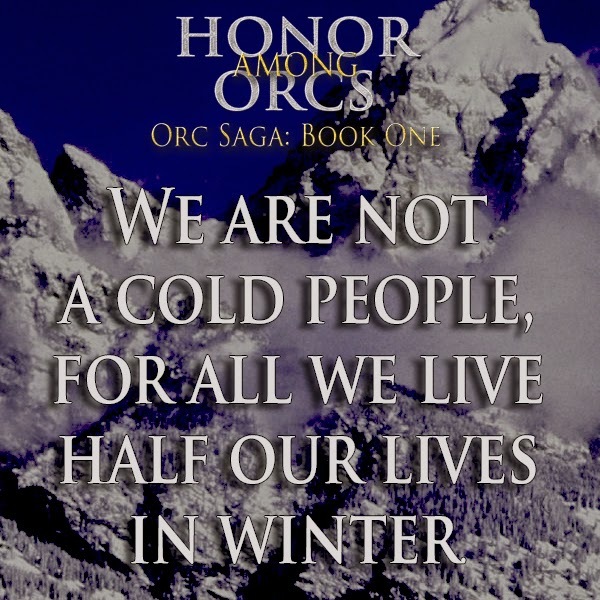 You can decide for yourself by grabbing a copy of HONOR AMONG ORCS! Second, definitely make sure you enter to win the 25 dollar gift card -- the giveaway is still going! Some new reviews and blogposts have arrived praising HONOR and I just wanted to give them a quick linky-link, here, in case any of you are still on the fence about picking up a copy and investing some time with Arianna and Bolthorn! I've included a quote from each, but be sure to klikky klikky to read the whole review! "I [...] love that the skeleton of the book feels familiar-- it is orcs, elves, and humans after all-- but the plot is super twisty and keeps you guessing until the very last page!" "The adventure of the story alone makes it a fantastic read, but the depths that Amalia explores inter-race politics, gender roles & expectations, and family dynamics make it something more than a simple adventure-love story." "...there is definitely influence from Tolkien, but this is not a Tolkien story either. I love the way the orcs are constantly yearning to return to their "true" forms as elves and how that impacts the behavior, politics, and decisions which in turn affect both Arianna and Bolthorn." 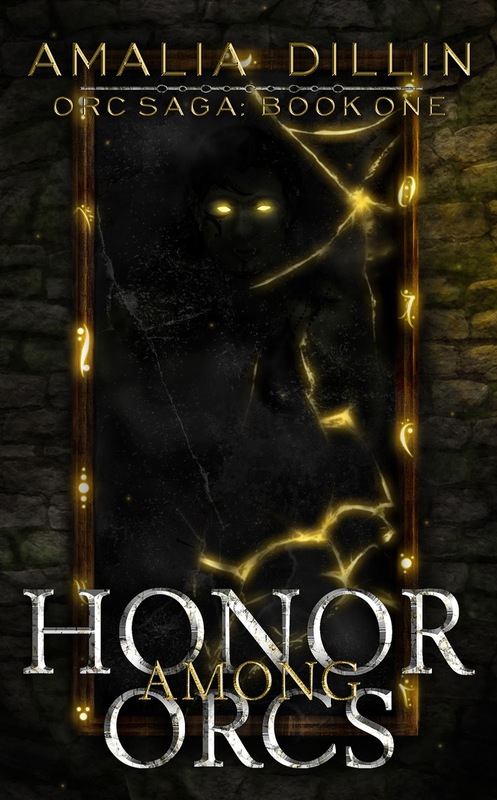 Keep the reviews and ratings coming, and be sure to tell your friends about HONOR AMONG ORCS! Let's keep climbing the charts! "Honor Among Orcs [...] takes you by surprise and doesn't let go of your imagination even after you've finished it. A truly unique take on romance, reminiscent of Beauty and the Beast that I absolutely loved. The writing, characters, and story line were so well done I stayed up late to finish the book in one day and [...] can't wait for the second book in this series." "...Dillin will do for Orcs what Mccaffrey did for Dragons..."
"If you like fantasy, magic, romance, adventure, monsters or princesses, this is the book for you." "In the vein of Tolkien, Honor Among Orcs is a high fantasy filled with danger, intrigue, magic, and love that you will want to read again." 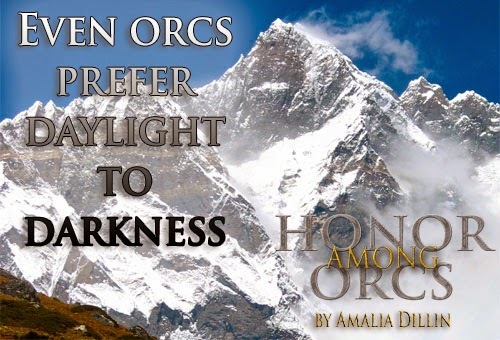 "The characters may be my favorite part of HONOR AMONG ORCS, but it's Dillin's skill at creating deep, rich cultures based on what we'd normally think of as "stereotypical" fantasy races that really shines through." "“Honor Among Orcs” has a Tolkien-meets-Twilight feel to it and should appeal to fans of supernatural romance and high fantasy alike." "...an interesting tack on the standard fantasy fare of Orcs being Elves who have been twisted by dark magic..."
"Dillin weaves a tale fraught with adventure and true love, in a dynamic and fast moving tale that turns all the classic fantasy tropes on their heads. I loved it from the start!" "Majestic storytelling, a breathtaking, larger than life world, and characters that offer new perspectives on long-standing traditions, HONOR AMONG ORCS is a fantasy triumph." "It not only held up to my expectations but it had depths I hadn't anticipated. It had the world-building complexity of a Tolkien fantasy. The star-crossed aspect of a Shakespeare tragedy. All with the character and relationship development of a romance." 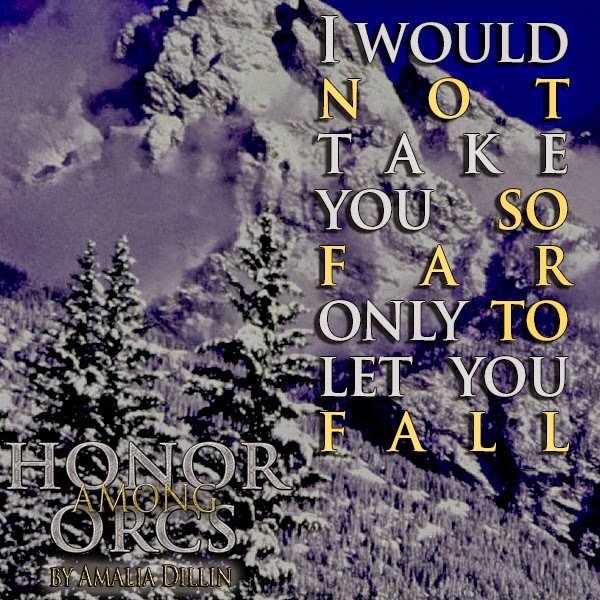 Grab your copy of HONOR AMONG ORCS today! Available in paperback from Amazon, and ebook from Amazon and Barnes and Noble!